There are perhaps fewer prestigious addresses in London than no. 1 Park Lane, home of the flagship luxury InterContinental London Park Lane and my home for the night, having been the lucky winner of a competition. Walking through the doors – opened by doormen wearing top hats, my friend and I found ourselves in the height of luxury. Beautiful tall flowers in huge vases and orchids instantly calmed the nerves after being in the hustle and bustle of the city. 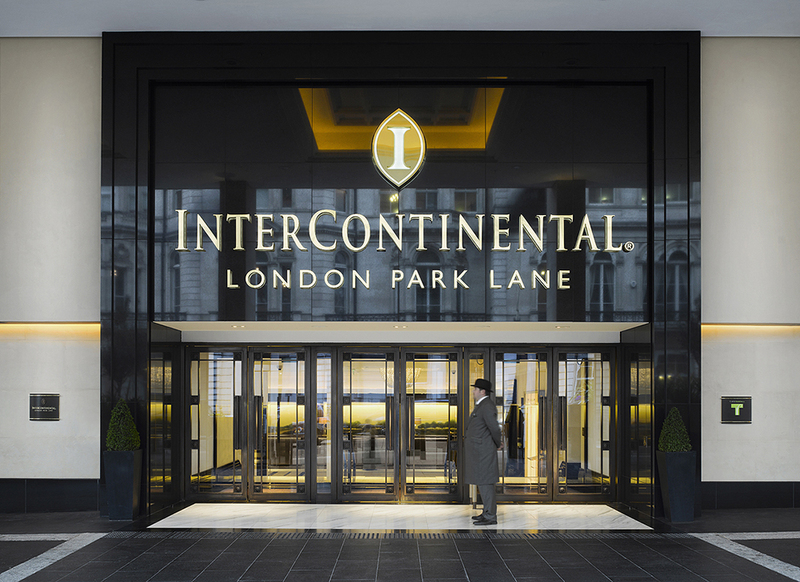 The family-friendly hotel boasts 447 rooms and 60 suites, the latter featuring a 24-hour butler service, dedicated concierge and complimentary access to Club InterContinental. We stayed in the London Executive room, the windows of which overlooked the busy Hyde Park Corner and Apsley House – the home of the first Duke of Wellington. 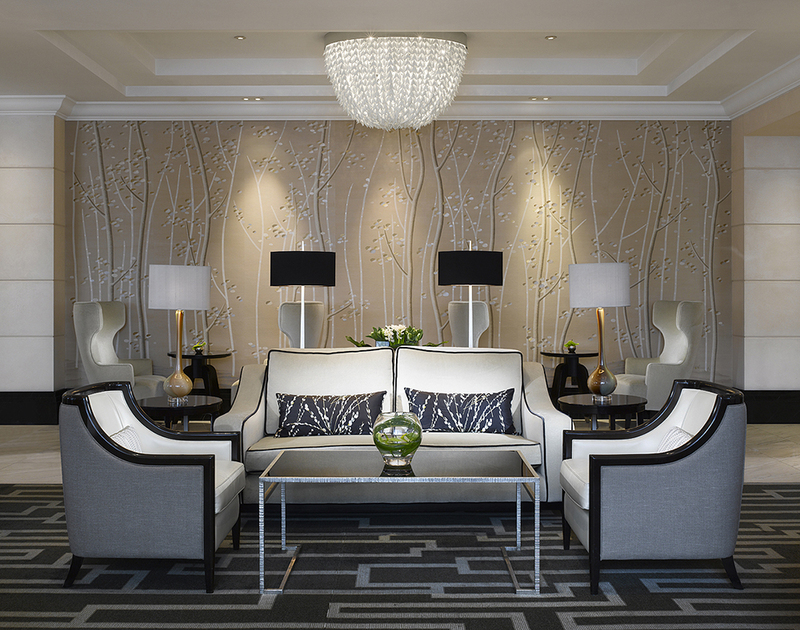 The hotel also features a fitness centre and a spa, where you can choose from more than 30 treatments, award-winning chefs and restaurants and the gloriously elegant Wellington Lounge, winner of an Award of Excellence from the UK Tea Guild. 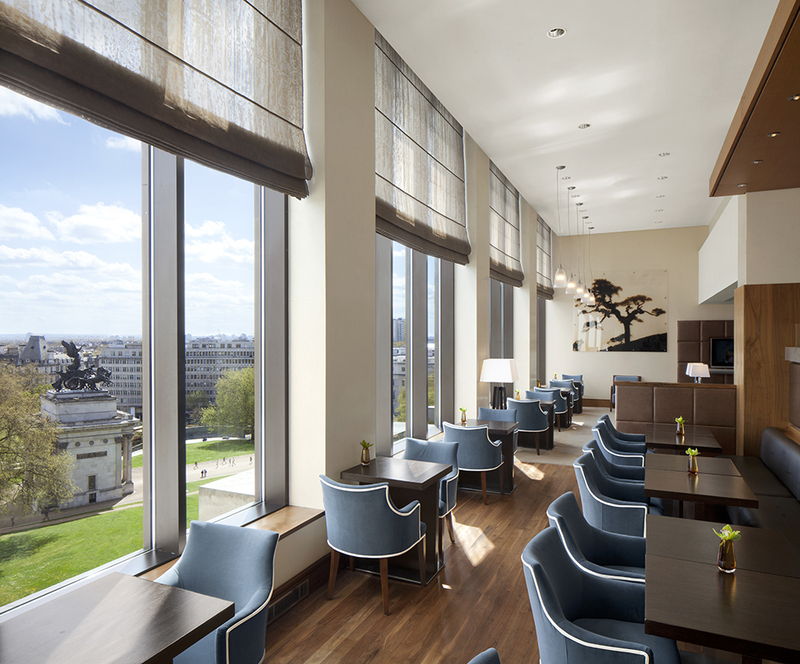 Our first happy duty was to experience afternoon tea in the exclusive 7th floor lounge, from where we had a perfect view over the Wellington Arch. My friend ordered a coffee with warm soya milk (which was no trouble), while I had a green tea and we both tried – and failed – to limit ourselves to one cake each. There were scones (which could be warmed on request) with butter and jam, fruit cake, marble cake, chocolate mousse, red velvet cake and, if you were in the mood, English summer cherry tomato and cucumber sandwiches with coriander. The staff were attentive without being intrusive, and time flew as we caught up and watched the world go by. Soon it was time for evening drinks. My friend enjoyed the complimentary Champagne and I a Mojito, served with crudités and canapés while the sun set and the lights started twinkling in the large windows, through which you could see Big Ben and the Houses of Parliament. After our aperitifs, we had to force ourselves out for dinner. The hotel couldn’t be more central. 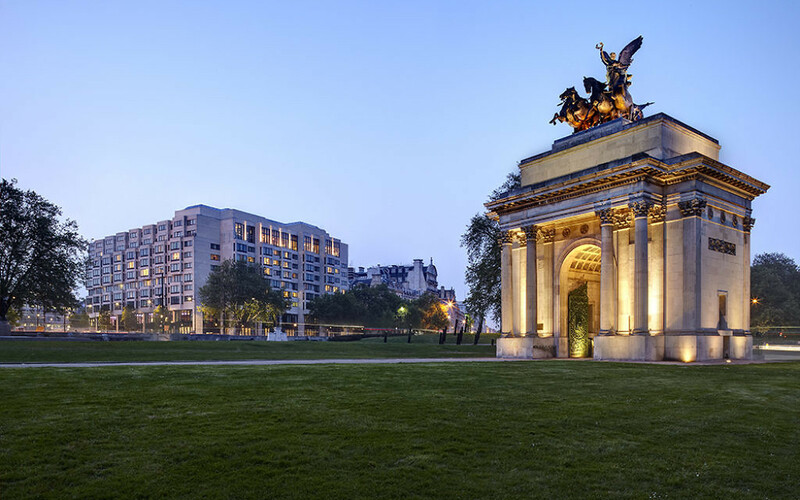 Just a few steps from Hyde Park and in view of Buckingham Palace, it is situated between Mayfair and Knightsbridge and is close to London’s theatre district and the West End. Upon our return, we found that the bedsheets on the ample and comfortable beds had been turned down for the night. We slept well and the next morning enjoyed a relaxing deluxe Club InterContinental breakfast. From the à la carte menu, I chose two perfectly poached free range eggs with crispy potato cakes, mushrooms, tomato and chicken sausages and a herbal tea, while my friend had a vegetable omelette with gluten-free bread. We also availed ourselves of the buffet (and why not? ), which included cereals and yoghurts, croissants and pastries and fine cheeses. Suitably fortified, we were then ready to rejoin our families and chaos. From the luxury décor in the muted colours of whites, greys and browns, to the knowledgeable staff, the hotel creates a sense of serenity and calm. Is it greedy to hope that we’ll be lucky enough to win another stay?